Attention, apparel makers: Re:newcell wants your waste. 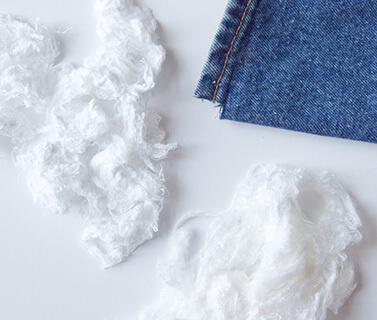 Pre-consumer, 100-percent cotton waste, that is. The Swedish company, founded in 2012 by a group of researchers from the Royal Institute of Technology in Stockholm and a small investment company, is ready to scale its process, which can recycle cotton and other cellulosic textiles into a dissolving pulp that can then be upcycled into new fibers, such as viscose and lyocell. Specifically, Re:newcell wants to increase its capacity to about 3,000 tons per year. Last month, the company concluded the basic engineering phase of a demo plant and is now taking offers from various firms for detailed engineering, which will begin in December. Construction is slated to start in February and Norlin anticipates the facility will be up and running within a year of that time. Once that bridge has been crossed, the company can then move on to upcycling fabrics featuring 95 percent cellulosic content and recreating its recent successes. Earlier this year, two Swedish School of Textiles students created a white T-shirt using only Re:newcell fibers recycled from blue jeans. Tests found the garment to be comparable with other high-quality fibers when it came to dyestuff absorption, tenacity (in both wet and dry conditions) and withstanding high abrasion.